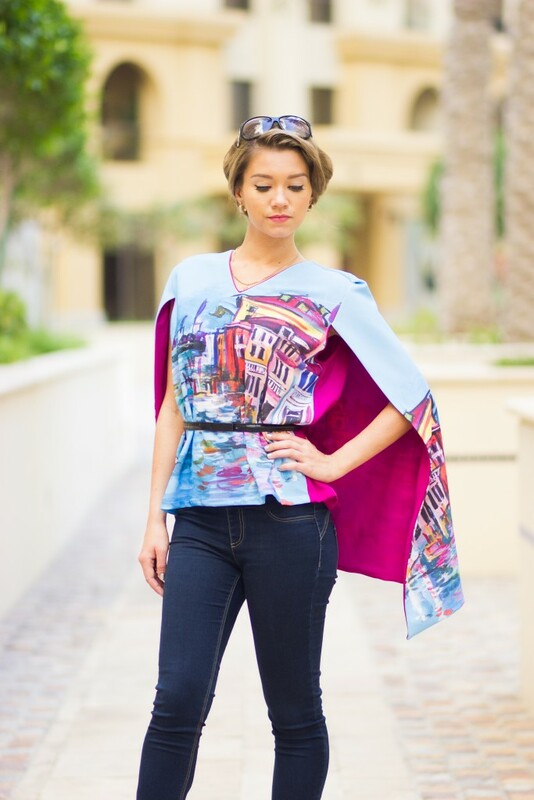 In December I shared with you a post called Wanderlusting with my friend Sara Japanwalla who gave me the full scoop on her latest venture into fashion design. 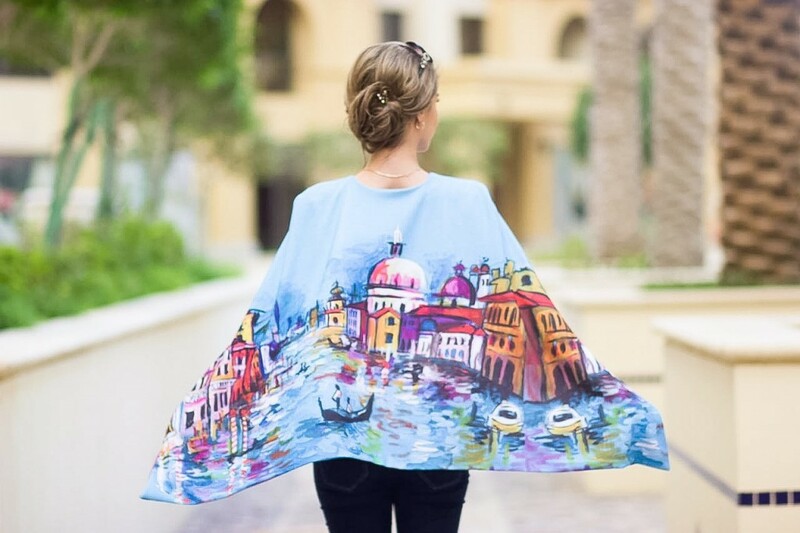 She has finally launched The Wanderlust Collection, which captures the essence of each beautiful city (Paris, Venice and Santorini) on a canvas of wearable art for different tastes. Sara is an innately talented artist and now she has proven that she knows what looks good on women. The pieces range from playful midi skirts, capes and dresses all in a flattering scuba material. I got to work with a team of amazing ladies to create an editorial photoshoot for the collection, and we each were able to showcase our unique styles and how we would wear the outfits. Since the general vibe was colorful, fun and slightly retro, we decided to go for vintage hair and makeup. 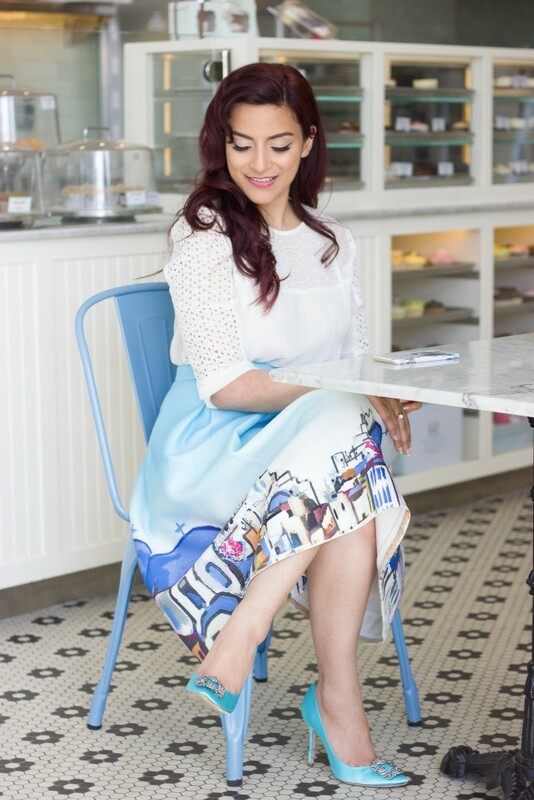 Some of the pictures were shot at Magnolia Bakery at The Beach in JBR which really was the icing on the proverbial cupcake. 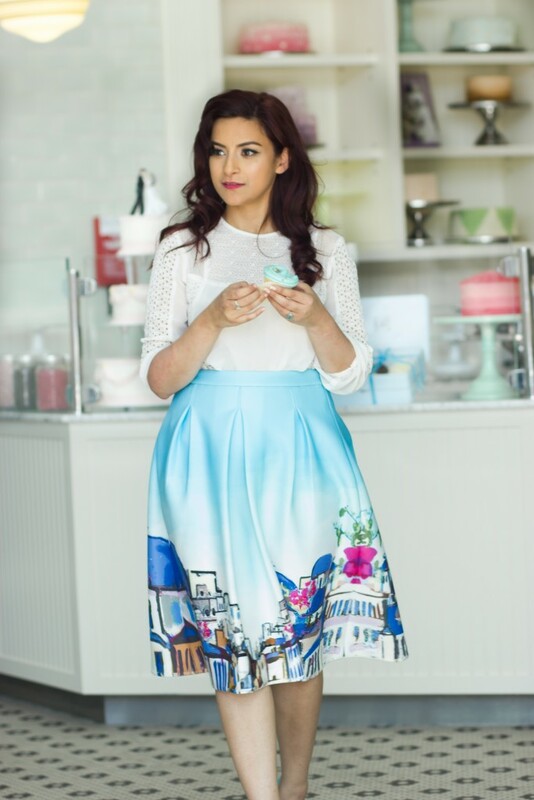 I don’t really like to play favorites, but the Paris Midi Skirt I got to model felt like it was made just for me because it really fit like a glove. I think The Wanderlust Collection has enough variety of prints and styles that work for different body types and will appeal to anyone with an affinity to something bold and cheeky. 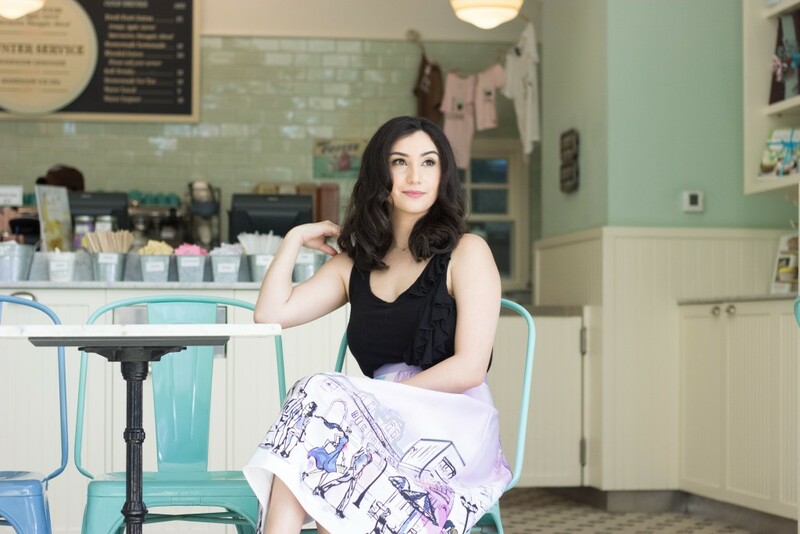 You can see the pictures from our photoshoot below, and I highly recommend you head to the Sara japanwalla biddi store and get yourself a wanderlust piece for the summer! I would love to know what you thought of our shoot and which outfit is your favorite. Hair and Makeup by Nina Ubhi and her team from the Nina Ubi Beauty and Hair Institute. For more on Fashion, Lifestyle, Beauty and Travel.